Schneider Proclima vulns: ICS or not? The Schneider ProClima vulnerability disclosures were another interesting case study on ICS security communications. Security Week ran an article on them. As did Threatpost. In communications from Schneider and DHS, there are two “vulnerabilities”, both classified as “Command Injection” (CWE-77), yet a total of five CVEs. I understand the reasons behind combining analysis in some cases, but am I the only one that thinks each CVE should serve exactly one vulnerability? ProClima software would very rarely be found on an industrial network. It is enclosure design software. It helps engineers design control enclosures/cabinets so that they don’t get too hot. It could maybe, be on ICS engineer lap tops, but its fundamental purpose is not process control or process design — it is process control cabinet design! CVSSv2 base score for these vulnerabilities is 10.0 (the highest score possible). The vulnerabilities are in ActiveX, so if it were on an ICS network (but it’s not — see #2 above) the vulnerable machine would still have to be surfing the public Internet to get infected. If your ICS machines can do that, then you have worse problems than some obscure ActiveX vuln. In short, the score here does a poor job of characterizing the potential impact to the actual process being controlled. The reason I think these “small” analytical issues matter is that if we are really concerned about protecting critical infrastructure we have to communicate clearly. There is *virtually zero* potential process impact that results from successful exploitation of these vulnerabilities. If you want to cut the hype and get solid ICS vuln analysis, then subscribe to Critical Intelligence ICS Core Intelligence Service. 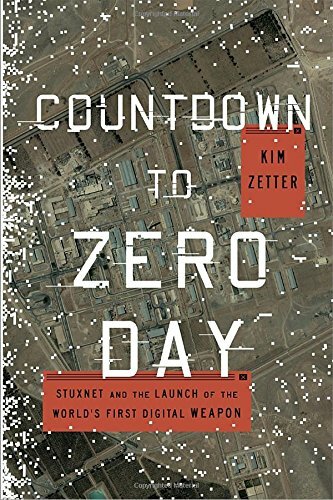 Well, I finished Kim Zetter’s book, Countdown to Zero Day. Overall a great story. 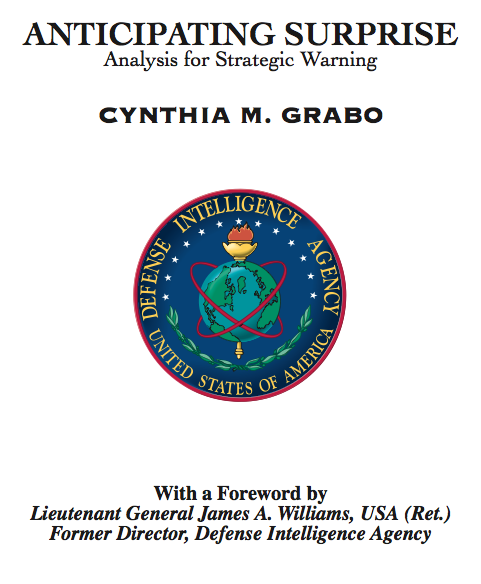 Good read for anyone who wants to get an idea for the last eight or so years of action in the ICS security space. I’m recommending it to family members and friends who want to “get” what I do. I had to wonder though about a couple of ideas/concepts/parts in the book. Now, I’ve heard the Stuxnet story from DHS analysts before, but in contrast with Zetter’s descriptions of the Symantec effort, this seemed unrealistic. The idea (apparently expressed by DHS leadership at the time) is that what took Symantec’s brightest minds weeks of painstaking effort (see pp.52-54), DHS could whip out in two days? I’m not saying it’s not possible, and maybe I am misinterpreting the story, but there seems to be a stark contrast there. This gets back to a fundamental difference between Zetter’s view and mine. I think in the end, what we know as “Stuxnet” was intended to get caught. It was (or at least included) an overt signal to Iran that the USA and perhaps Israel was all in their business. Consider for example, that the worm recorded every computer it had infected. It’s payload was weakly encrypted. Some versions were released after the Natanz target was hit. 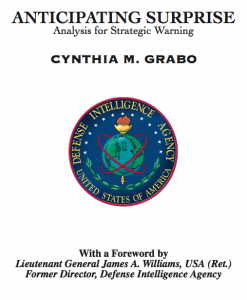 The code included decipherable references to Iran and Israel and the USA. With several zero days and additional propagation vectors, the worm (at least the versions that were found) couldn’t and wouldn’t keep quiet for ever. I don’t believe a highly professional and competent group could/would plan an operation like Stuxnet without carefully considering OPSEC and making intentional choices. I lean towards the idea that at some point Stuxnet’s “going public” wasn’t a surprise or a mistake, it was an intentional statement. Critical Intelligence launched a new — and unique — service offering for companies that own and operate critical infrastructure. It’s called ReconX. It’s a different sort of offering from the myriad voices talking about risk consulting or security program building or penetration testing. 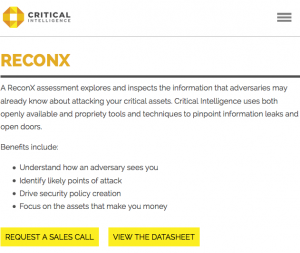 ReconX is all about the concept of reconnaissance exposure. Who are my key employees (to include ICS engineers and control room operators)? What contact details (including passwords) are public for my employees? What information are those employees leaking via LinkedIn or Instagram? Who are my key suppliers? What information about my company are those suppliers leaking via case studies on their Web sites? Who regulates me? What potentially sensitive or “useful” information exists in publicly accessible government databases about my company? A Chinese national attending a U.S. university did an internship at a major electric utility. Numerous details of a substation upgrade were written up as part of an “academic report” and posted to the world wide web. Your quarterly penetration test is not likely to catch that — because that’s not the objective. So, you might try something different this time around. 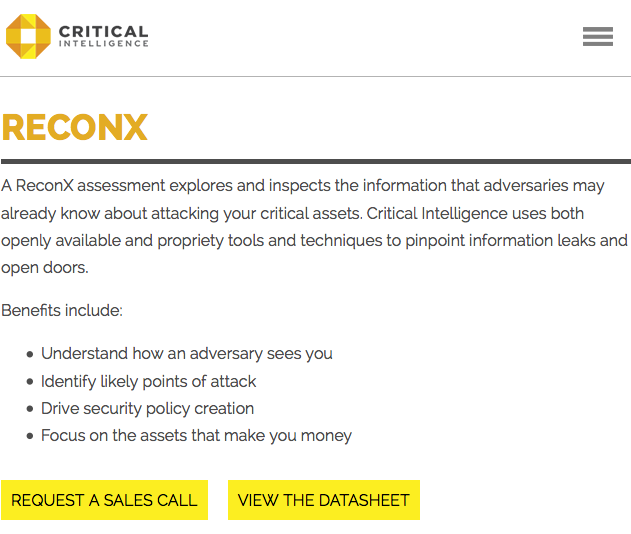 For more information, head to the CI Web site, download the glossy and contact Critical Intelligence.